On the 29th (Fri), plan a day focused around Central Park. The adventure continues: explore the world behind art at The Metropolitan Museum of Art, admire the landmark architecture of Empire State Building, take in the spiritual surroundings of St. Paul's Chapel, and tour the pleasant surroundings at The High Line. To see reviews, other places to visit, traveler tips, and more tourist information, refer to the New York City itinerary planner. If you are flying in from Saudi Arabia, the closest major airports are La Guardia Airport, Newark Liberty International Airport, John F Kennedy International Airport and Stewart International Airport. In July, daytime highs in New York City are 35°C, while nighttime lows are 25°C. Finish your sightseeing early on the 31st (Sun) to allow enough time to fly to Washington DC. Washington DC is known for sightseeing, museums, nature, religious sites, and nightlife. 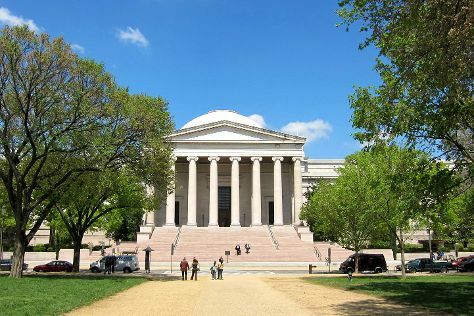 Your plan includes some of its best attractions: admire the masterpieces at National Gallery of Art, examine the collection at Smithsonian National Air and Space Museum, appreciate the history behind Jefferson Memorial, and ponder the world of politics at United States Capitol. For ratings, maps, where to stay, and more tourist information, go to the Washington DC holiday planner. Getting from New York City to Washington DC by flight takes about 3.5 hours. Other options: take a bus; or drive. In August, plan for daily highs up to 36°C, and evening lows to 25°C. Wrap up your sightseeing by early afternoon on the 3rd (Wed) to allow enough time to fly to Las Vegas. Las Vegas is known for nightlife, sightseeing, historic sites, casinos, and nature. Your plan includes some of its best attractions: explore the striking landscape at Red Rock Canyon National Conservation Area, see the interesting displays at The Mob Museum, try to win big at Bellagio Hotel and Casino, and take in nature's colorful creations at Bellagio Conservatory & Botanical Gardens. For maps, more things to do, traveler tips, and more tourist information, read Las Vegas holiday planner. You can fly from Washington DC to Las Vegas in 7.5 hours. Alternatively, you can drive; or do a combination of bus and train. Due to the time zone difference, you'll gain 3 hours traveling from Washington DC to Las Vegas. In August, Las Vegas is somewhat warmer than Washington DC - with highs of 45°C and lows of 31°C. Wrap up your sightseeing by early afternoon on the 6th (Sat) to allow time for travel to Grand Canyon National Park. On the 7th (Sun), hike the day away at Bright Angel Trail. On the 8th (Mon), hike the day away at Rim Trail. There's more to do: deepen your understanding at Grand Canyon Field Institute. 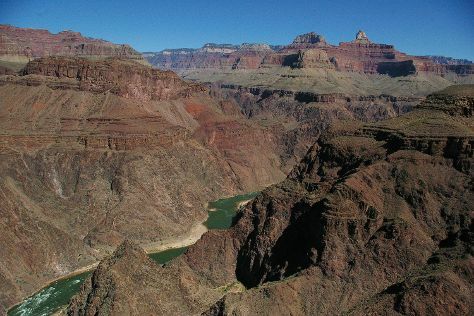 For maps, where to stay, ratings, and other tourist information, read our Grand Canyon National Park itinerary builder. Traveling by flight from Las Vegas to Grand Canyon National Park takes 6.5 hours. Alternatively, you can take a bus; or do a combination of flight and bus. You'll lose 1 hour traveling from Las Vegas to Grand Canyon National Park due to the time zone difference. Traveling from Las Vegas in August, expect Grand Canyon National Park to be colder, temps between 32°C and 11°C. Wrap up your sightseeing by early afternoon on the 9th (Tue) to allow enough time to drive to Yosemite National Park. 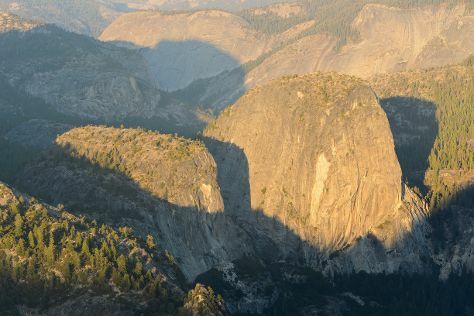 Spend the 10th (Wed) among the memorable landscape of Half Dome. And it doesn't end there: explore the striking landscape at Glacier Point, admire the sheer force of Vernal Fall, trek along Tuolumne Meadows, and don't miss a visit to Olmsted Point. For ratings, maps, other places to visit, and more tourist information, use the Yosemite National Park itinerary planner. Traveling by car from Grand Canyon National Park to Yosemite National Park takes 10.5 hours. The time zone difference when traveling from Grand Canyon National Park to Yosemite National Park is minus 1 hour. Traveling from Grand Canyon National Park in August, you can expect nighttime temperatures to be a bit cooler in Yosemite National Park, with lows of 7°C. Finish your sightseeing early on the 12th (Fri) so you can drive to San Francisco. San Francisco is known for sightseeing, nature, museums, historic sites, and shopping. Your plan includes some of its best attractions: head off the coast to Alcatraz, take in the waterfront at Fisherman's Wharf, explore the world behind art at Palace of Fine Arts Theatre, and have fun and explore at The Exploratorium. To see photos, ratings, maps, and tourist information, read our San Francisco itinerary planner. Traveling by car from Yosemite National Park to San Francisco takes 4 hours. Alternatively, you can take a bus; or do a combination of train and bus. When traveling from Yosemite National Park in August, plan for a bit cooler days and a bit warmer nights in San Francisco: temperatures range from 26°C by day to 16°C at night. Wrap up your sightseeing by early afternoon on the 15th (Mon) to allow time for the flight to Seattle. Seattle is known for museums, sightseeing, nature, zoos & aquariums, and nightlife. Your plan includes some of its best attractions: explore the world behind art at Chihuly Garden and Glass, see the interesting displays at The Museum of Flight, appreciate the history behind Space Needle, and appreciate the extensive heritage of Pioneer Square. To see other places to visit, photos, where to stay, and other tourist information, use the Seattle travel itinerary planner. Traveling by flight from San Francisco to Seattle takes 5.5 hours. Alternatively, you can drive; or take a train. In August, daily temperatures in Seattle can reach 29°C, while at night they dip to 17°C. Wrap up your sightseeing by early afternoon on the 18th (Thu) to allow enough time to travel to Yellowstone National Park. On the 19th (Fri), witness a stunning natural landmark at Old Faithful, then witness a stunning natural landmark at Grand Prismatic Spring, and then explore the stunning scenery at Grand Canyon of the Yellowstone. Get ready for a full day of sightseeing on the next day: explore the activities along Yellowstone Lake. 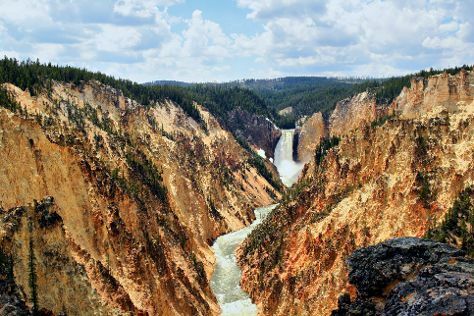 To see traveler tips, ratings, reviews, and other tourist information, read our Yellowstone National Park custom trip planner. Traveling by combination of flight and taxi from Seattle to Yellowstone National Park takes 7.5 hours. Alternatively, you can drive; or take a bus. The time zone changes from Pacific Standard Time (PST) to Mountain Standard Time (MST), which is usually a 1 hour difference. When traveling from Seattle in August, plan for little chillier days and cooler nights in Yellowstone National Park: temperatures range from 25°C by day to 4°C at night.